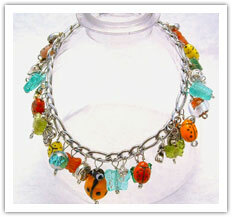 Handmade, wire wrapped jewelry have been worn by people all over the world for over 4000 years. Come and enter my galleries of designer Pendants and Earrings for sale. See for yourself why wire-wrapped jewelry has been so popular. 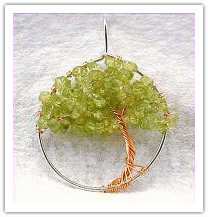 Here, you will find Beautiful, Handcrafted Wire Art Jewelry. These one of a kind art works are designed by me using unique, quality materials and expert workmanship. Using a variety of wires, which include 14k Gold filled, Sterling Silver, Brass and Copper, I turn a Cabochon (or stone), a gemetsone or bead into a pendant that is a distinctive piece of art work you can wear! Unique, handmade, wire wrapped pendants are my specialty and I design and create wire wrap Gemstones, Bracelets and Beaded Earrings too. I strive to create the most unique and unusual wire wrapped jewelry of the highest quality - no mass produced, plastic or imitations here! 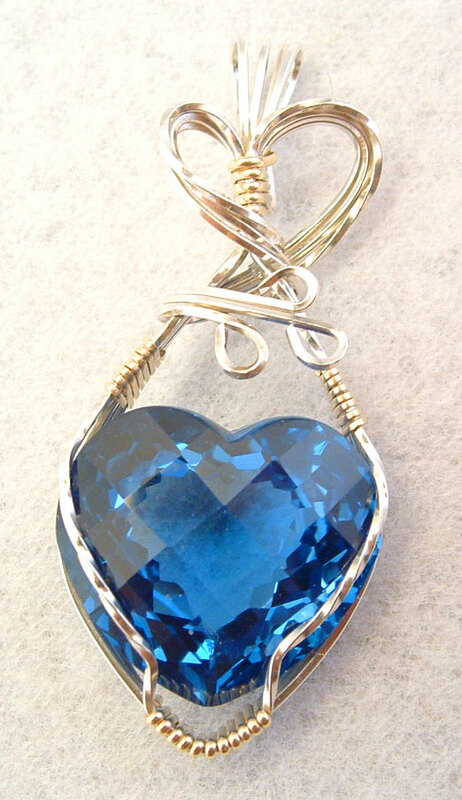 Sparkling blue Topaz heart gemstone expertly wrapped in silver and gold-filled wire. Looking for that unique gift idea? Something special for that someone special? The perfect present? Well look no further! I enjoy searching for the odd and the unusual, the weird and the wonderful! Thankfully, Mother Nature is a good provider - every piece of handcrafted jewelry is guaranteed to be one-of-a-kind!